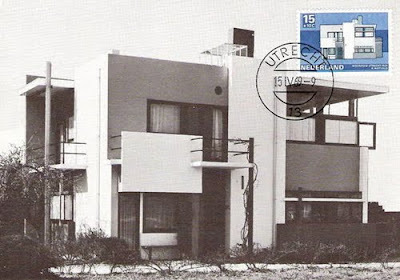 Studio Banana TV interviews Croatian architect Hrvoje Njric. 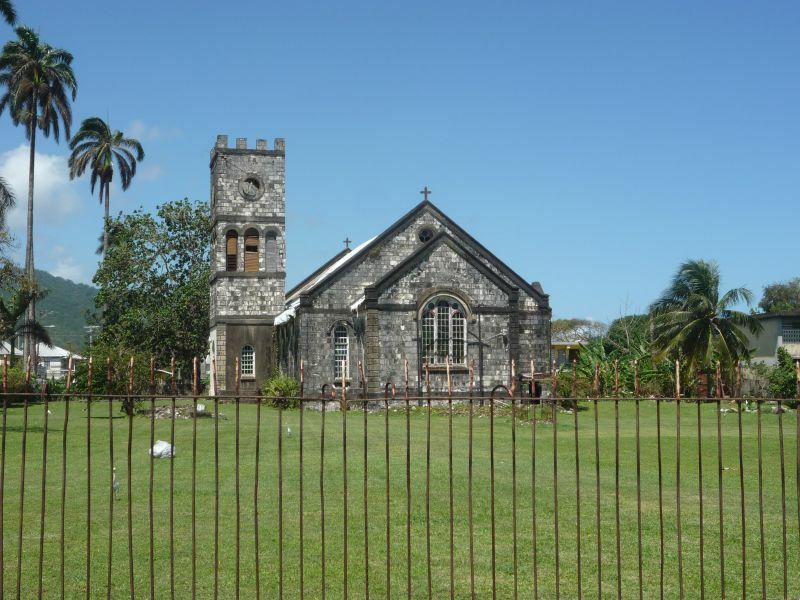 Archaeological and Reconstruction Artist Peter Dunn will be hosted by the Jamaica National Heritage Trust to visit select Heritage Sites around Jamaica to produce a series of reconstructions. 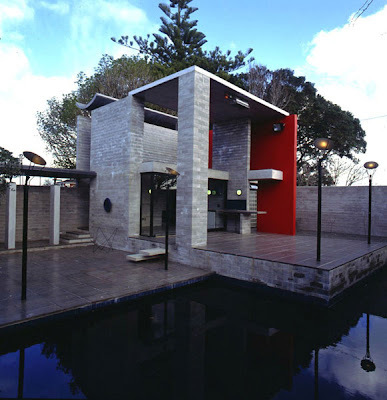 This Friday at the Caribbean School of Architecture he will be doing a session specially for students and anyone else interested to share his work and the process he goes through to produce his reconstructions. 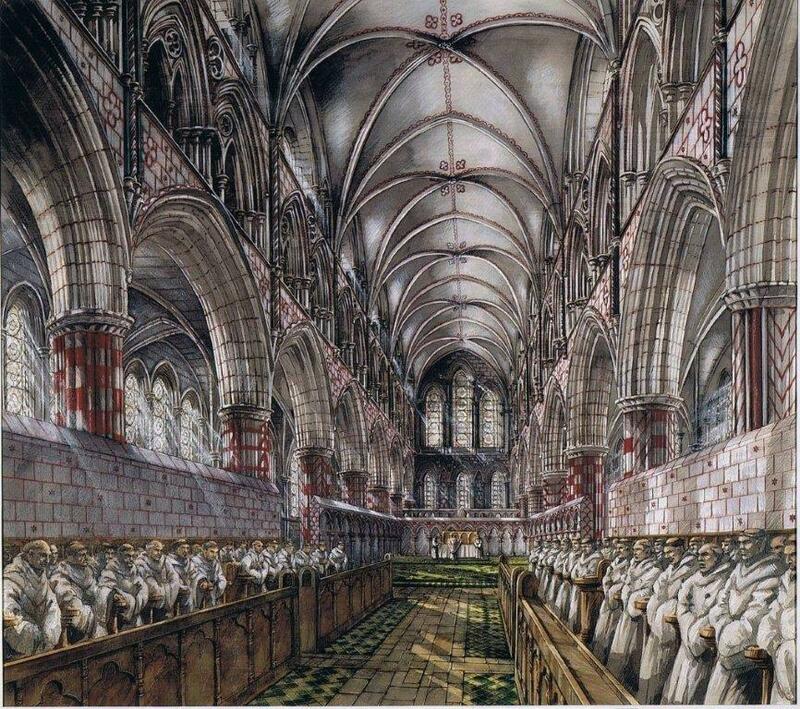 Peter Dunn has 22 years as an archaeological illustrator and has since then has done extensive freelance work. 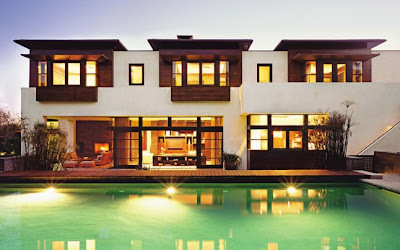 The design of the San Remo Drive residence by KAA Design Group draws inspiration from Southern California's rich history of early modernist residential design namely Schindler's Kings Road House scene in the material palette and details. 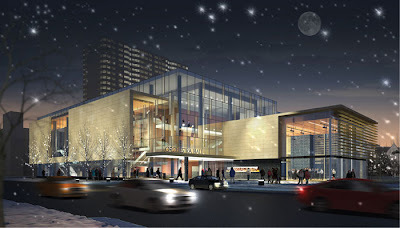 The South Lake Recreational & Retail Centre is a proposed multi-facility structure designed by architects Studioshift, featuring amenities for shopping and commerce as well as leisure housed in three distinct building forms and finished in locally harvested stone. 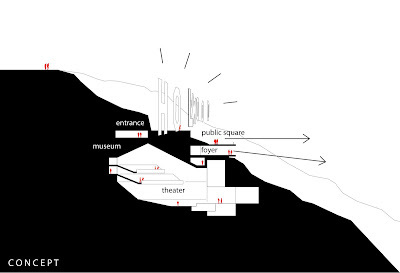 the competition entry for the Cultuurforum Spui in the Hague, Netherlands designed by architects Diller Scofidio + Renfro and collaborators Solid Objectives-Idenburg Liu. 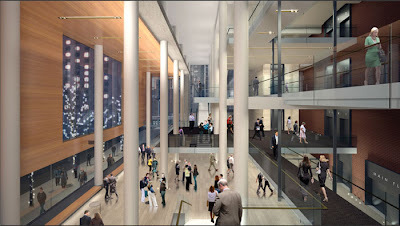 The building when complete will feature spaces for dance, opera, theatre and concerts. 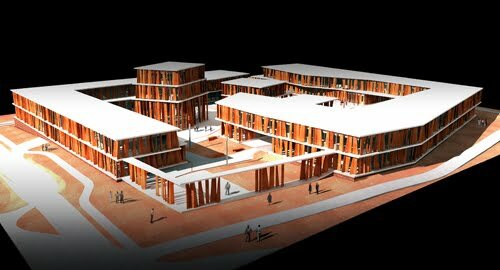 Aging in Africa is an inspired proposal for an aged-value community for a non-disclosed site in West Africa designed by HWKN architects. 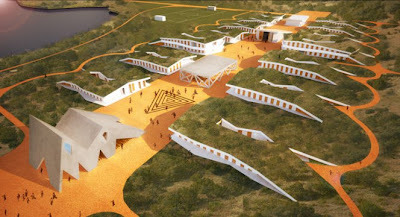 The layout of the proposal takes cues from from typical Cote D’Ivoire village whilst creating a seamless connection between the built and the natural world with green roofs that submerge into the natural landscape. 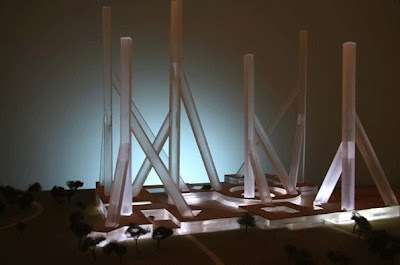 Studio Banana TV interviews the architecture duo Cruz-Ortiz, architects of the Rijksmuseum renovation in Amsterdam. Designed as an addition to a re-used factory the 14,0002 Shopping Mall in Leszno, Poland by Ultra Architects maintains the relationship to the existing square and the historic part of town by a expansive underground walkway. 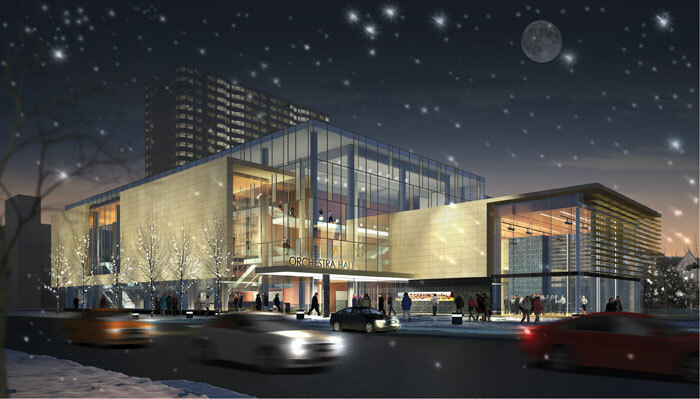 Kuwabara Payne McKenna Blumberg (KPMB) have proposed this renovation and expansion to the Minnesota Orchestra Hall. 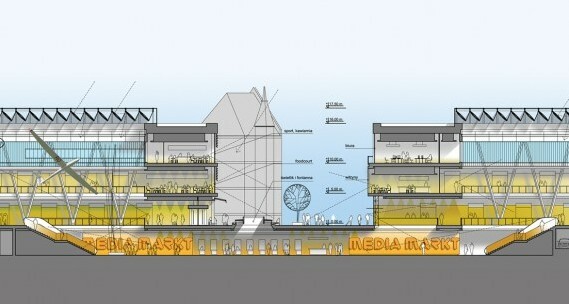 The brick shoebox design will create a dramatic new exterior and open the venue to the city and promenade. Bart de Lege and others in a Dutch/Belgian collaborative architectural practice have shared with us a conceptual project for the Hollywood sign. 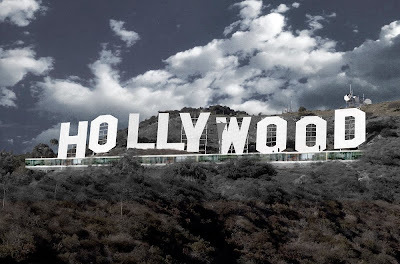 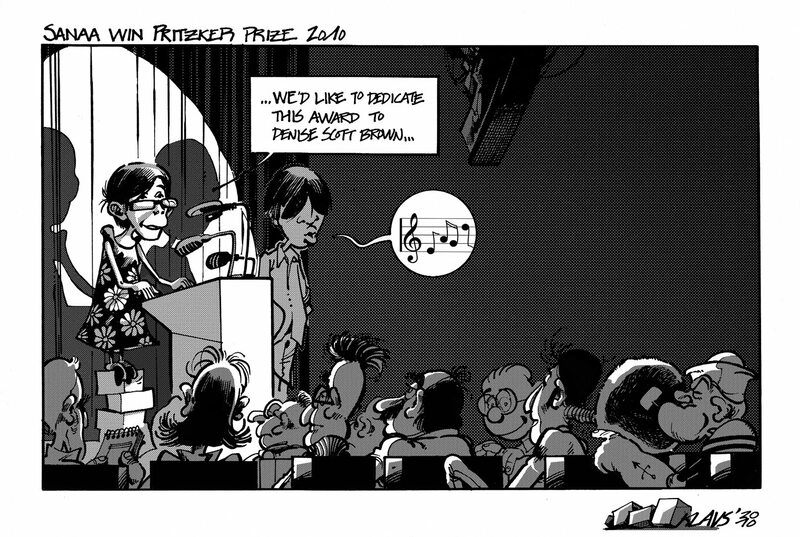 The proposal emphasizes the word Hollywood without detraction, by creating an attractive subterranean space to hold events significant to the movie industry namely the Oscars ceremonies. 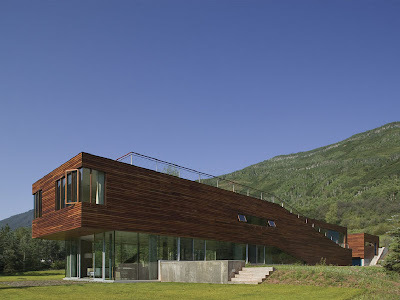 Designed by architects Peter Gluck the near 6,000 ft2 Bar House located in a narrow valley in Aspen, Colorado features south facing bedrooms and spectacular views. 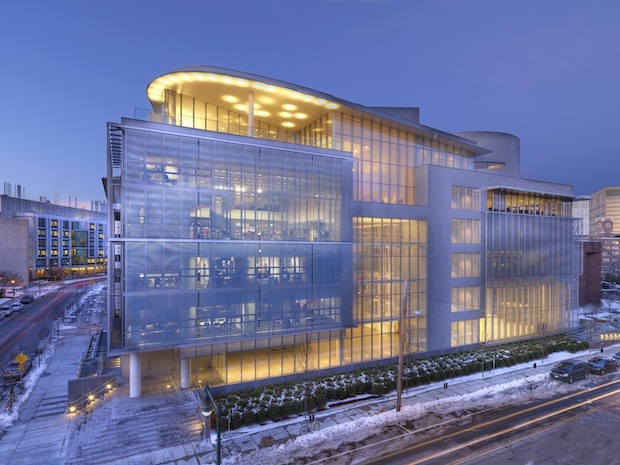 The MIT Media Lab designed by Pritzker Prize Laurette Fumihiko Maki and architect of record Leers Weinzapfel Associates is finished in layers of translucent material seemingly to floating nearly weightless above the Charles River and the Boston skyline. At 6 stories and over 150,000 ft2 the building was designed around the act of collaboration and beyond the specialized programme features double-height spaces for eating and gathering. 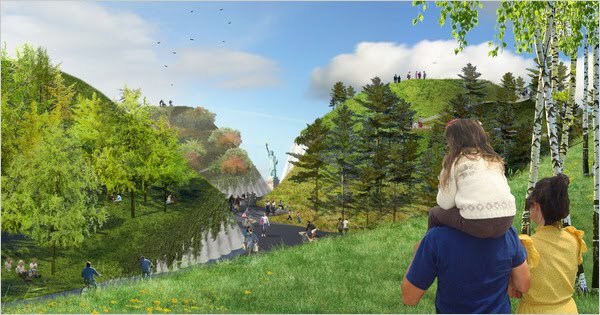 Landscape Architects West 8 and collaborators Rogers Marvel Architects, Diller Scofodio & Renfro and Mathews Nielsen has envisioned a massive redevelopment of the state owned Governor's Island in New York. The proposal will incorporate a jogging path, parade ground and areas to rest. This project by the Work Architecture Company (Work AC) re-imagines a former industrial building on the Brooklyn Navy dock yard proposing a more public/commercial facility whose facade attempts unite the varied context. Designed around that the notion of a more pedestrianized future due to the increased automation of tasks, the city is redesigned around the home as both domicile and office. 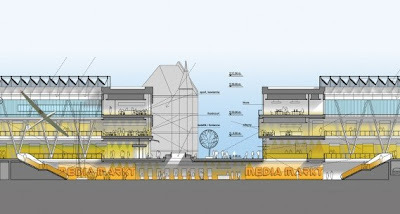 OBRA Architects envisions polycentric cities - numerous distinctive neighbourhoods of walk-able distances. 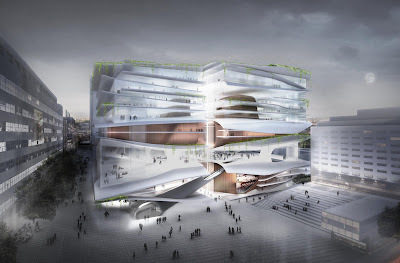 The proposed design for the Africa Institute of Science & Technology designed by Massimiliano Fuksas architects aspires to wisely combine African tradition and cultural values. Proposed for a 1,000 Ha site in Abuja, Nigeria the scheme when complete will contain education facilities, staff and student residences as well as a hotel and sporting facility. The residence was designed for a patron of the arts on top of a cliff in the coastal suburb of Takapuna, New Zealand by architect Pip Cheshire whilst at Jasmax prior to setting up his own firm. Despite the limited palette of materials and the sedated expression of the form, the language of the architecture boasts a pedigree in a home that is both rich and complex, dually fort-like yet open. 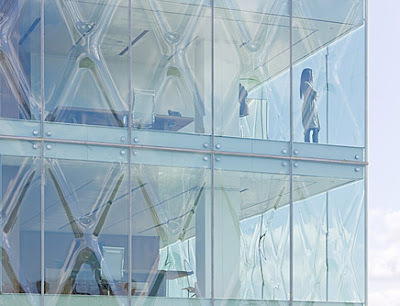 A building can be designed to satisfy "by the month" with the regularity of a provider. Or it can give satisfaction in a very different way, "by the moment," the fraction of a second, with the thrill of a lover. 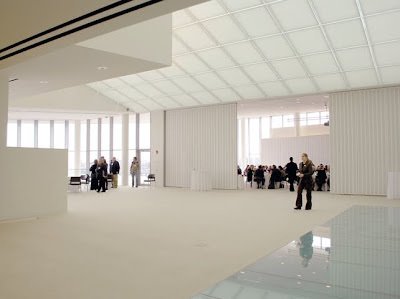 Blok 1min from BREADTRUCK TV on Vimeo. 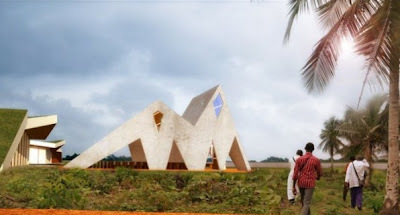 So both ArchDaily and Plataforma Arquitectura have posted their Easter specials showing chapels and churches around the world. 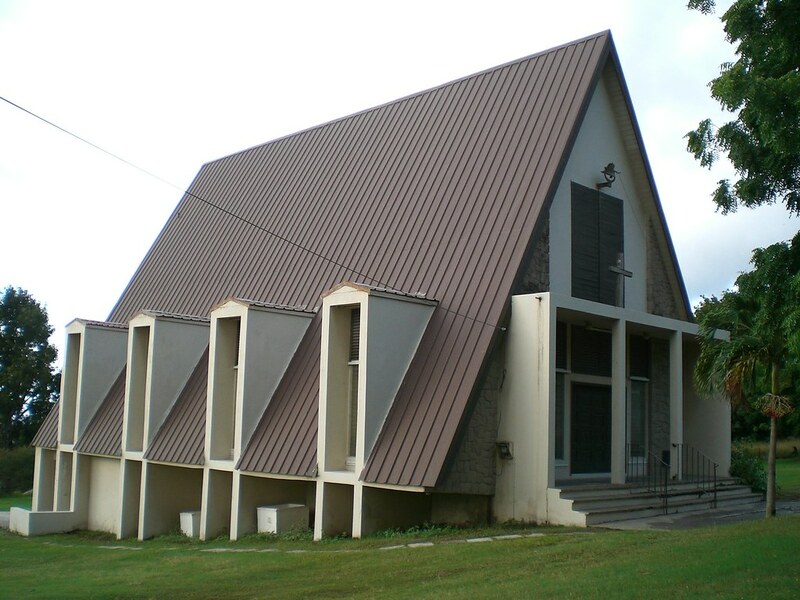 So to follow suit (joker) I'll post a few images of churches from the Caribbean and a flickr link to churches in Jamaica. 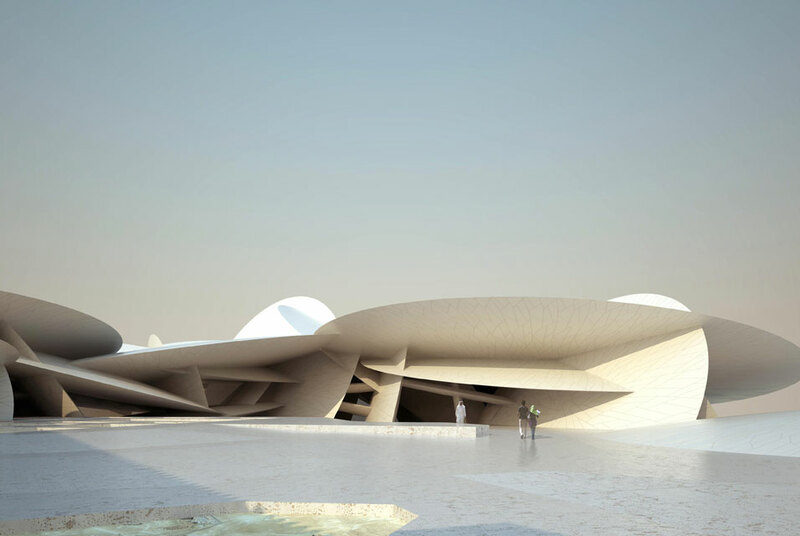 The proposal for the National Museum of Qatar by French architect Jean Nouvel embodies the ambitions of the state to develop into the cultural hub of the Gulf. The 430,000 ft2 museum reminiscent of a desert rose with its sonorous cocoons appears to both emerge from the sand yet be one with it. 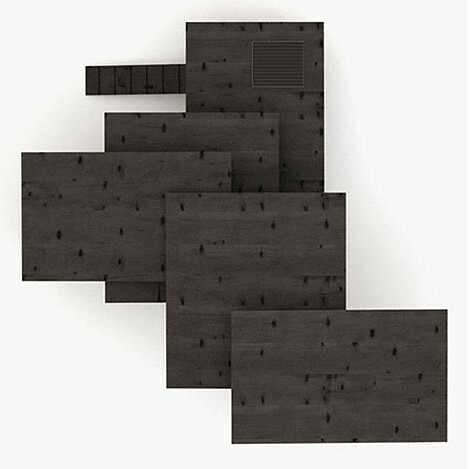 The Clyfford Still Museum in Denver, Colorado, named after the American abstract expressionist painter is scheduled for completion in late 2010. 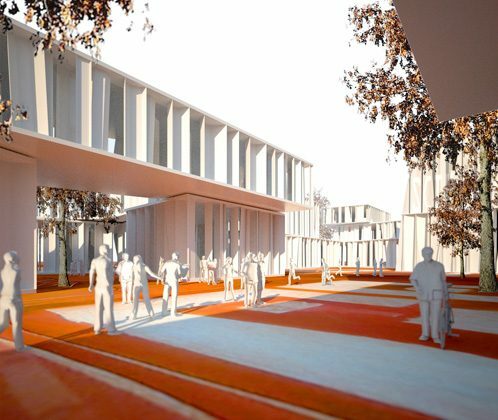 The 31,500 ft2museum designed by Allied Works Architecture (AWA) will serve as part of the city’s new cultural and arts district. 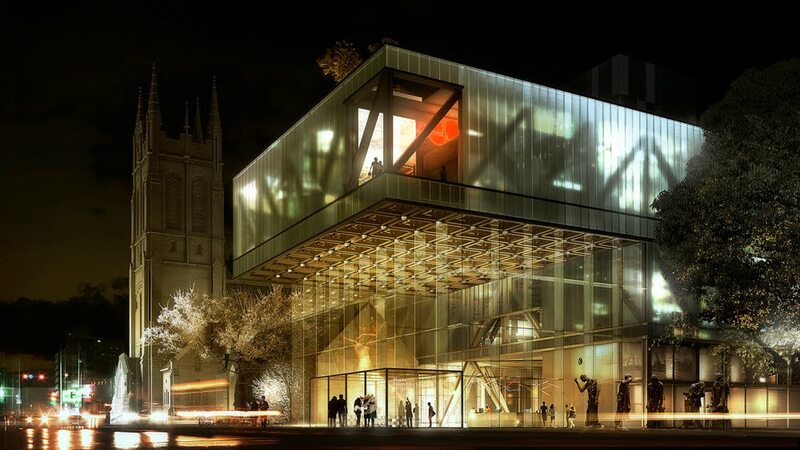 The Office for Metropolitan Design (OMA) has bee awarded the design for the expansion to the Musée National des Beaux-arts du Québec (MNBAQ). 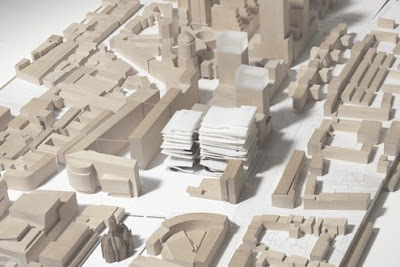 The 12,000m2 competition proposal by OMA is a series of overlapping boxes adjacent to the St. Dominique Church in downtown Quebec City, will when complete be the firm’s first building in Canada.